Oatmeal Chocolate Chunk ButterScotch Cookies may just be my most favorite cookies now!! First of all, Happy National Cookie Day!!! How exciting that I get to share this fabulous recipe on such an occasion. These Oatmeal Chocolate Chunk and Butterscotch Cookies have everything I love in a cookie y’all. Chewy-ness but, still a soft crunch with lots of chocolate chunks and oatmeal. The mini butterscotch chips were whimsy and such a fun addition! These cookies are delicious on their own but, I could see them being used as sandwiches with some yummy icing in the middle! 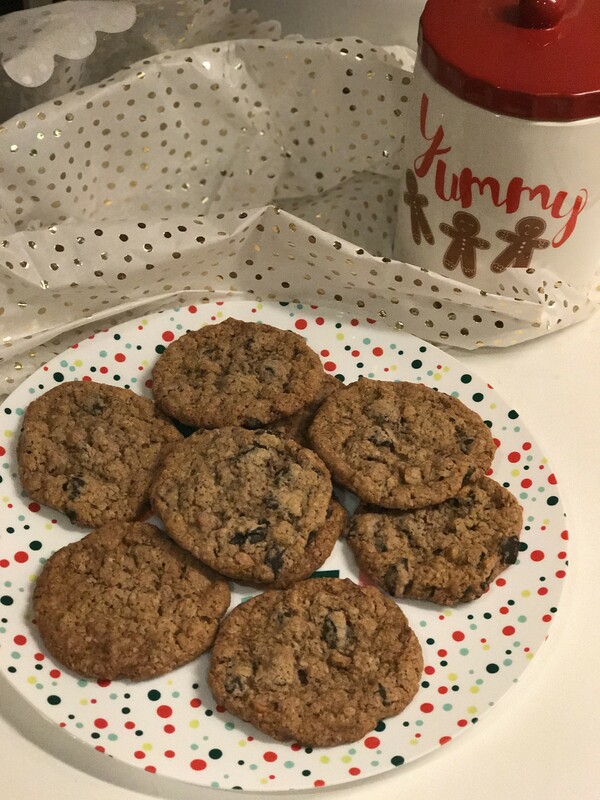 I made these cookies for a cookie exchange I was thankful to be apart of called #FBLCookieExchange and true to who I am I didn’t make them or test them until the night before I had to ship them out. 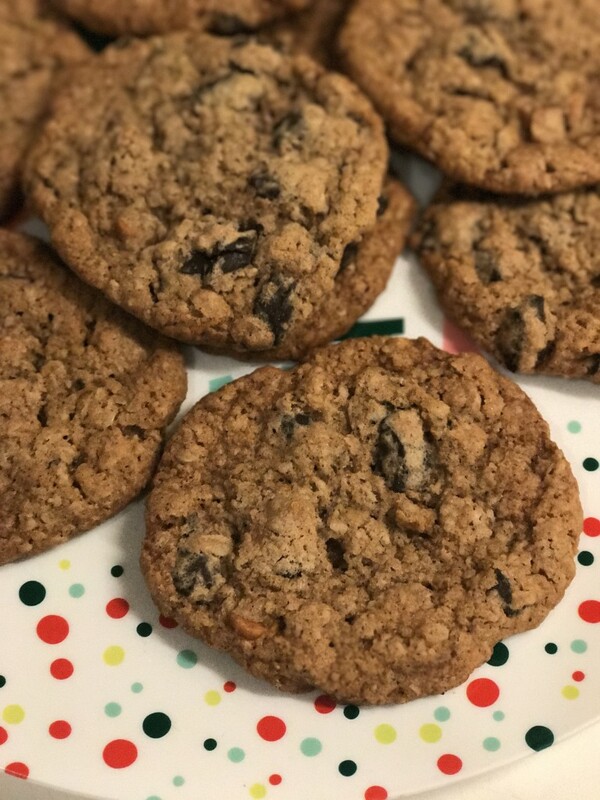 Thankfully, they turned out super yummy and apparently Oatmeal Chocolate Chunk ButterScotch Cookies are the perfection combination! The thing about these cookies is they could be altered and still taste so very good. You could leave out the butterscotch and replace with peanut butter chips or even white chocolate chips if you’re feeling super sweet! To celebrate lots of things I decided to also do a giveaway with this post! 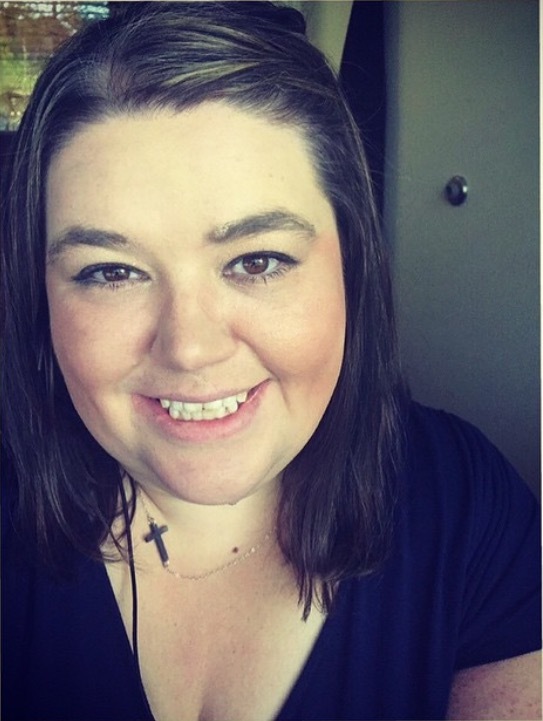 I’m thankful for my savior Jesus which is my first reason for wanting to be generous with you guys! Additionally, it’s Christmas time so gifts are always fun and I am giving away so many things you are bound to have enough to share with someone else! It’s national cookie day so I thought cookie accessories would be super appreciated and finally, I’ve launched my new business which I am praying blesses so many hearts for years to come. 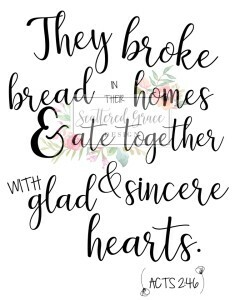 Please visit it @ www.scatteredgrace.com ! Blog will be launching in January also and I’m overly excited and nervous all at the same time! This giveaway is full of so many things that you can read about at the bottom of this post! Also, signing up for my newsletter gets you a FREE 8×10 copy of this print! I will e-mail it to you with no watermark and you can print it! So, since I sent out cookies to three people I also received 3 different types of cookies in return! Thank you girls SO much for blessing me with these cookies! 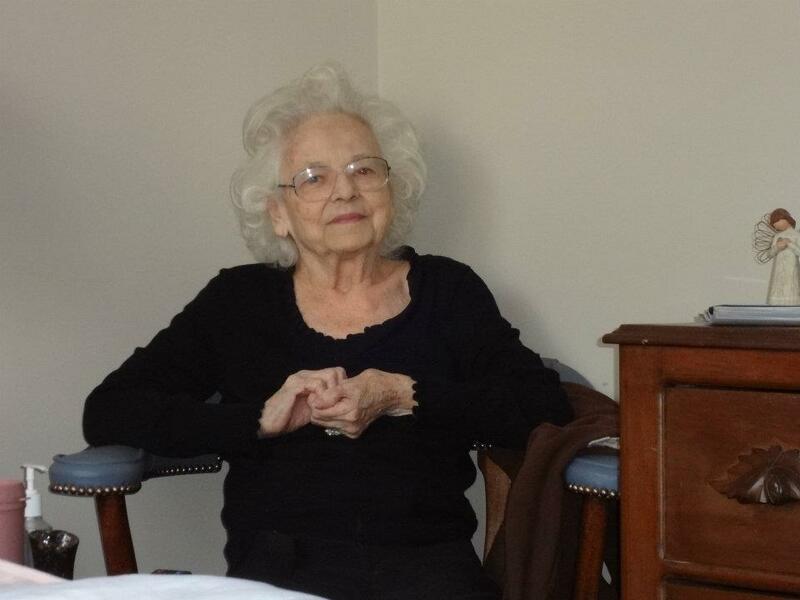 My family & friends loved them! 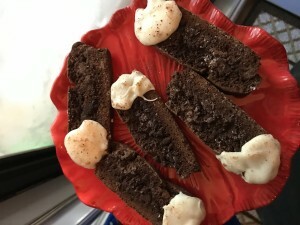 Triple Chocolate Peppermint Biscotti I have to say were my favorite of my 3! Y’all They were SO Good. You can find the recipe by clicking this picture over at Fixmealittlelunch! 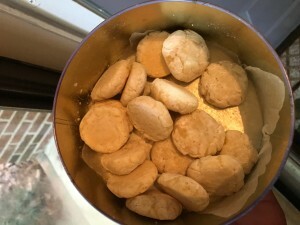 Lemon Gooey Butter Cookies were also a huge hit! You can find the recipe for these over at TheSpiffyCookie by clicking this image! 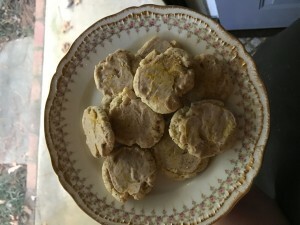 Finally, my last batch were a very different take on cookies & full of eggnog and chai!! Yum! You can find the recipe over at ChicagoFoodieGirl by going to her website! So, back to my yummy Oatmeal Chocolate Chunk Butterscotch Cookies! They came together easily and I love that they turned out perfectly lovely without chilling them in the fridge first. Sometimes, cookie recipes really need that but, these were chewy and crunchy and soft all at once! 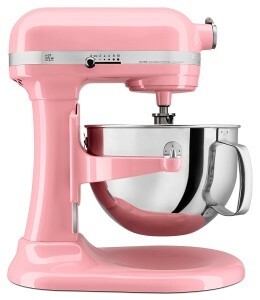 Please Santa bring me this mixer! 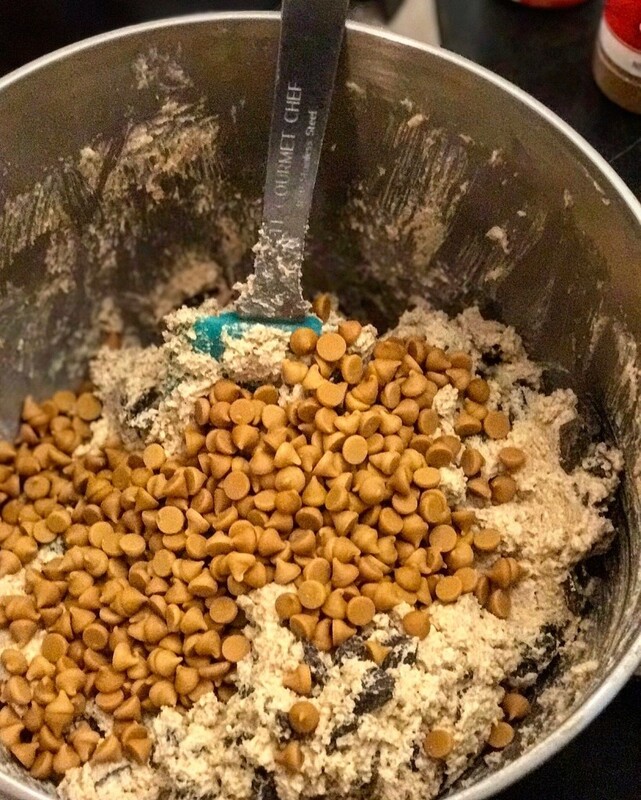 Mix your butterscotch chips at the very end y’al! I love this brand! They never disappoint but, I do have to order them online because they don’t sell them locally where I am in North Carolina. 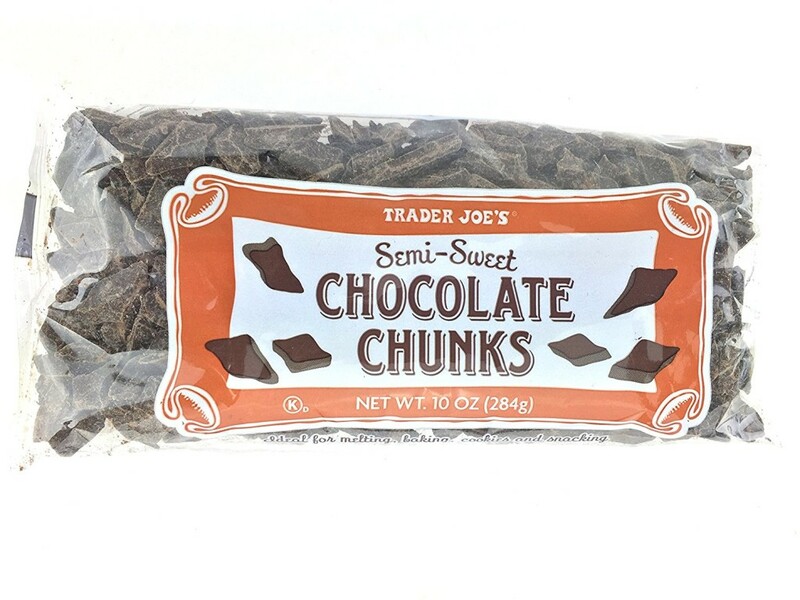 I used Trader Joe’s Chocolate Chunks because they’re awesome for $2 a bag! *Measure out all your ingredients if you can stand it beforehand it just makes everything go smoother. *Watch your oven towards the last couple minutes. Because these have molasses they look darker but, may not be done. Just keep an eye as they bake! *Perhaps I’d suggest doubling this recipe because they are that good! *Bake them for someone you love a lot because they’re full of my heart and I’d love them be shared! Thanks again to everyone that participated! I was sad when my last box arrived but, I know next year they’ll be more! 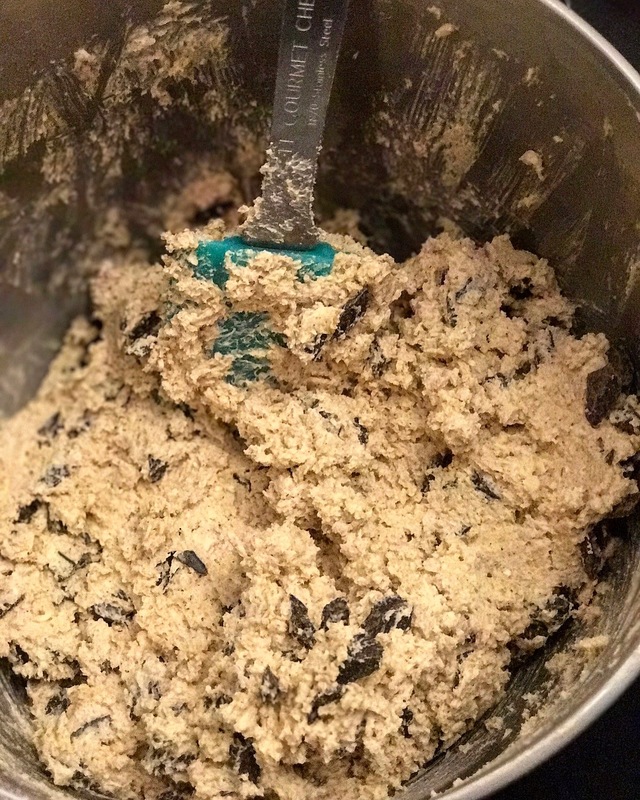 Comment with your favorite cookie on this blog post! 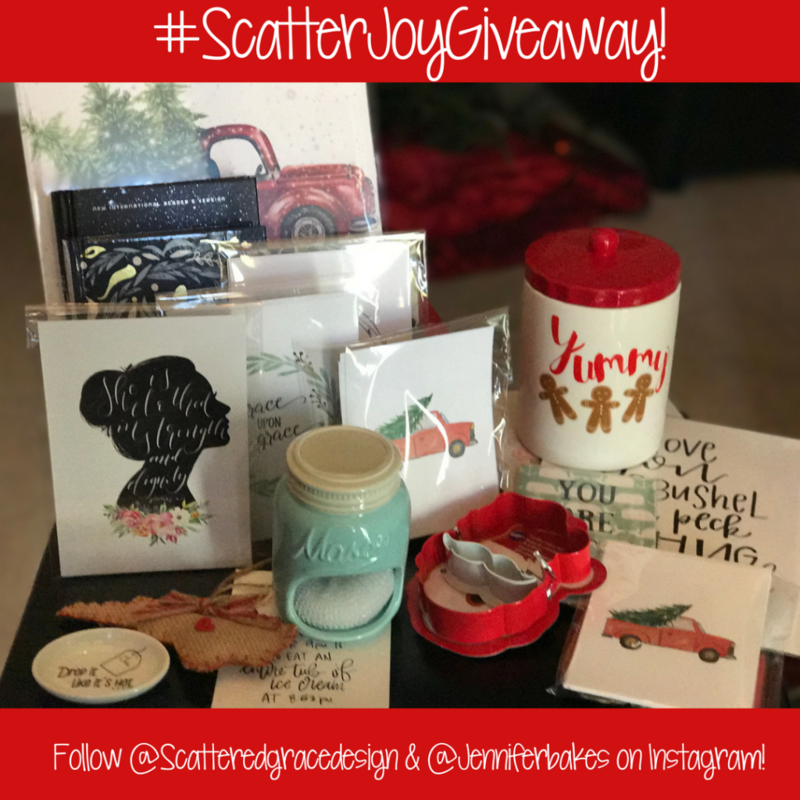 For extra entries find JenniferBakes & ScatteredgraceDesign on Instagram following the directions shared on Instagram! 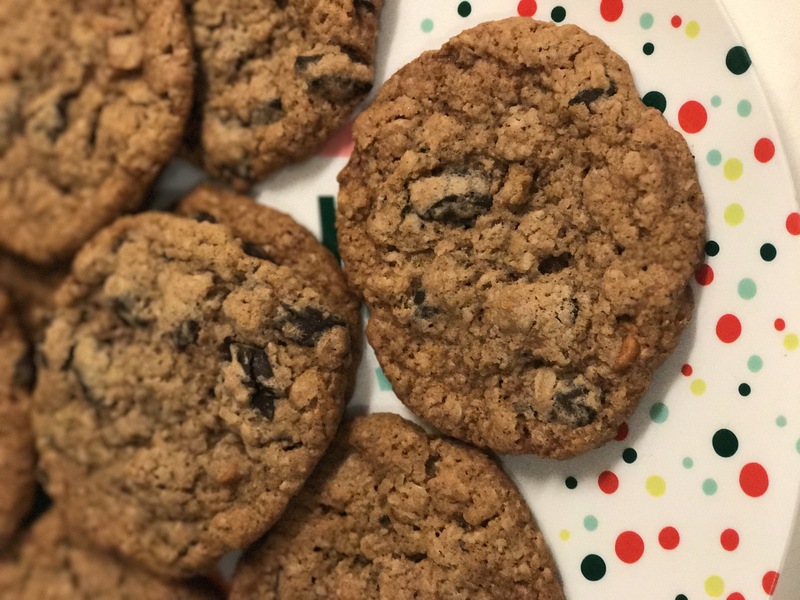 Oatmeal Chocolate Chunk ButterScotch Cookies plus a GIVEAWAY! Set your mixer to Cream the butter and sugars together on medium-high speed until the color is lighter and they seem physically lighter While that's happening measure out the dry ingredients. Scrape down the mixer when done mixing the butter/sugar and beat in each egg until blended in. Then add your molasses and vanilla. 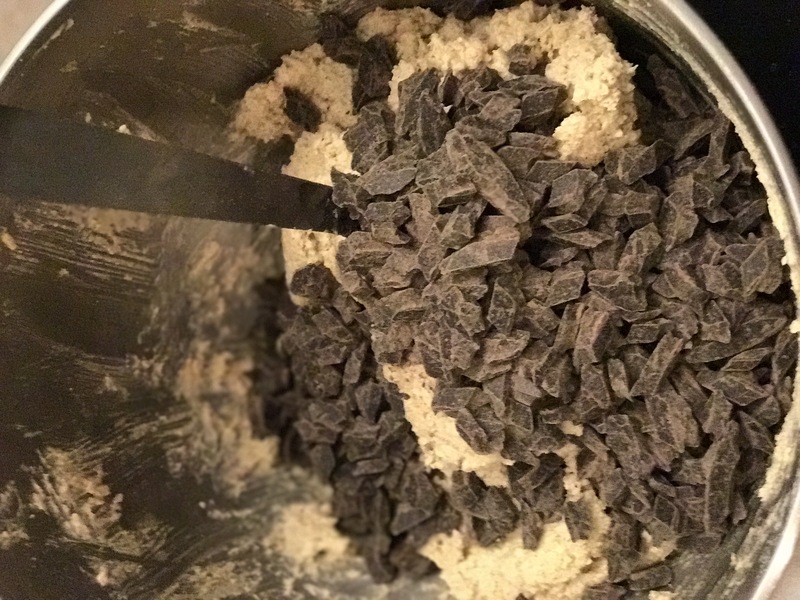 With the mixer running on low, slowly add the dry ingredients to wet ingredients. Don't worry if you start to have trouble mixing the dough gets thick but, its normal! Using a cookie scoop or tablespoon Drop a tablespoon of dough onto your lined baking sheets. Keep them at least 2 inches apart due to spreading. bake at 375 for 9 minutes or until you see them turning a golden brown around the edges. Cool for 3-5 minutes then transfer to cooling rack! Find all our recipes by clicking them below!Thank you so much to Sarah & Allison for organizing and keeping us all straight! Please find them below also!! Happy Cookie Season! 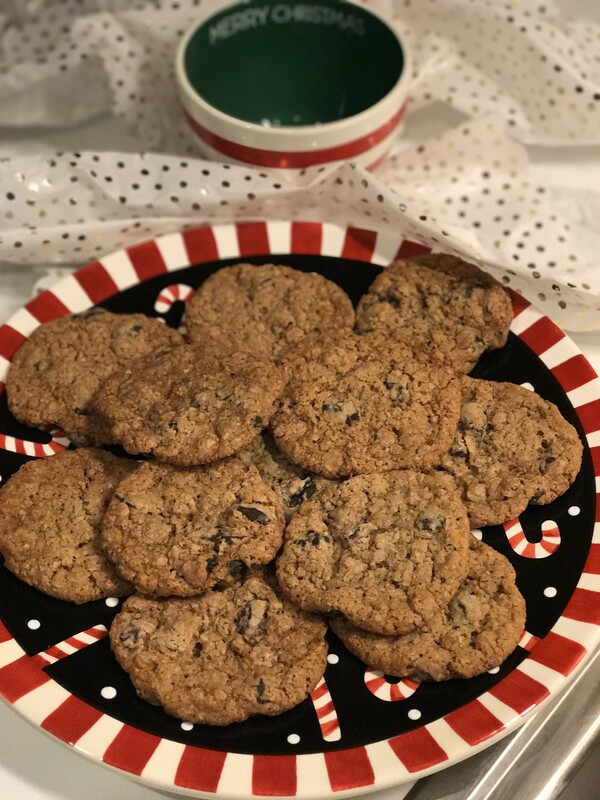 This entry was posted in Baking, cookies and tagged #2017, #baking, #chocolate, #cookies, #december2017, #fblcookieechange, #feedfeed, #food, #foodblogger, #foodie, #giveaway, #goodness, #happy, #homemade, #HUFFPOSTTASTE, #jenniferbakes, #kingarthurflour, #love, #meatlessmonday, #monday, #nationalcookieday, #nomnomnom, #northcarolina, #oatmeal, #ourstatemag, #pinterest, #recipe, #scatterjoygiveaway, #sugar, #thankful, #thatsdarling, #thebakefeed, #thefeedfeed, #vscocam, #yum. These sound scrumptious for any time of year. I am a big fan of butterscotch. Thank you so much for the yummy Cookies! They were filled with all things I love oatmeal, chocolate, and butterscotch! SO GOOD! Lisa! You are so welcome! Thank you for appreciating them so much, it was a joy to make them for you! I’ve had these cookies before and they never stop being one of my favorites. Delicious cookie choice! Have a very happy holiday! I think my favorite cookie would be a double chocolate chunk! Hard decision though! These look delicious! Can’t wait to make them for friends and family this Christmas season! I so wish you did also! They are something dreamy! I have never made cookies before. WIll definitely try them and ty to set up a cookie exchange. I love oatmeal chocolate chip cookies. But I NEVER thought of adding butterscotch chips. I can’t wait to try it! Thanks for the recipe. these cookies look so tasty! I love that mason jar scrubber holder in the giveaway so cute! These look far too good…my boys would LOVE them! Thanks, Sarah! Hope you make them soon!